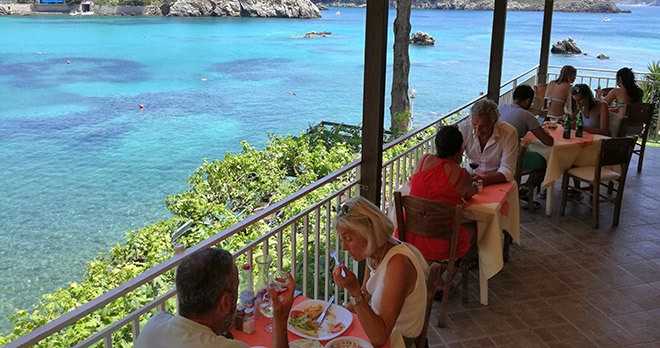 The location of Dolphin restaurant is really stunning as the restaurant consist on different terraces built few meters above the sea level. 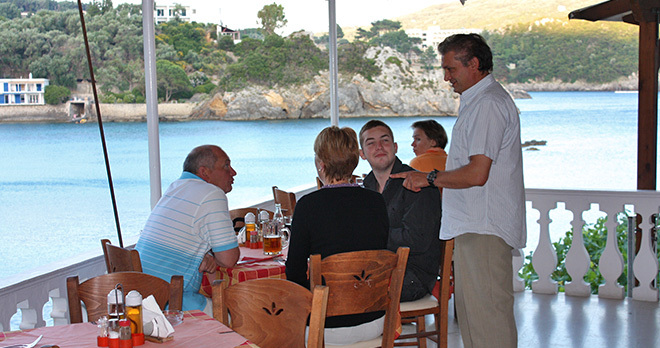 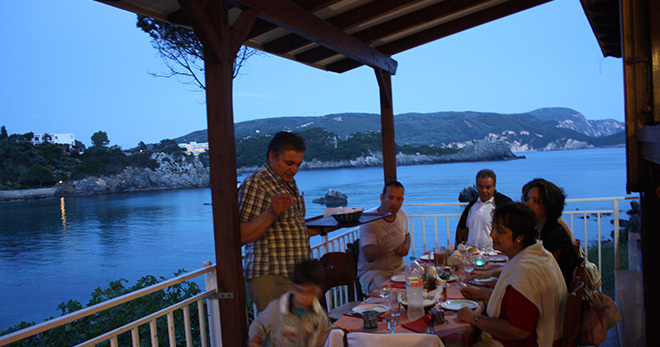 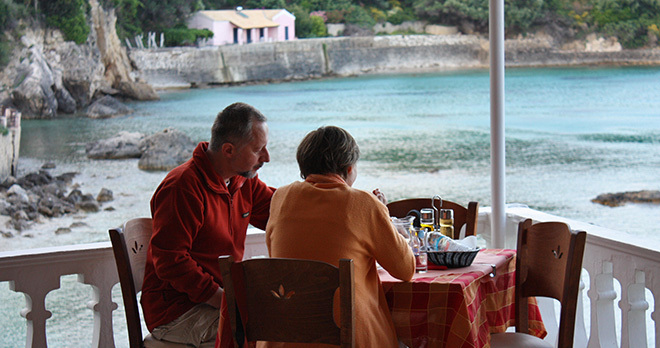 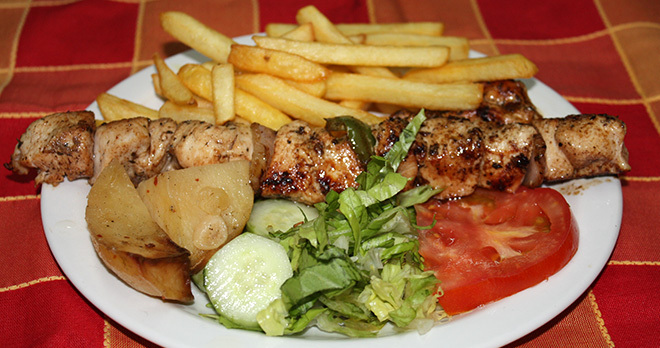 Delfini is a family run business, owned from local people from Paleokastritsa. 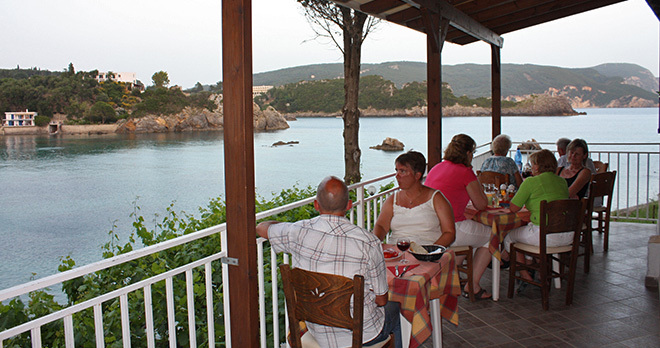 The cuisine is simple and genuine, with Mediterranean ingredients and offers a large choice of recipes. 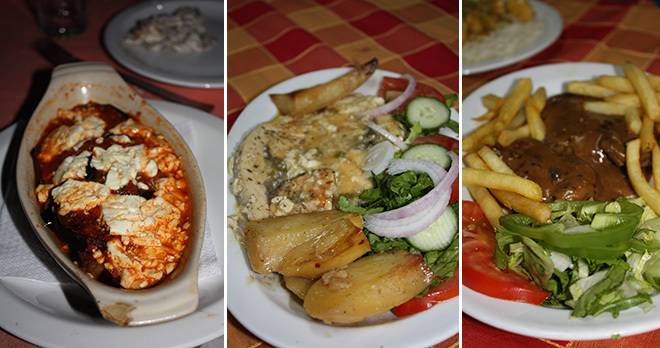 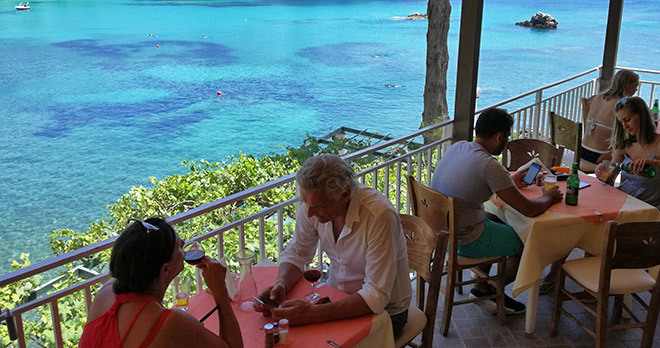 Together with the most famous Greek specialities such as Moussakas, Pastitsio and Kleftiko (lamb cooked in the oven) you can also taste all the most traditional dishes of Corfu cuisine. 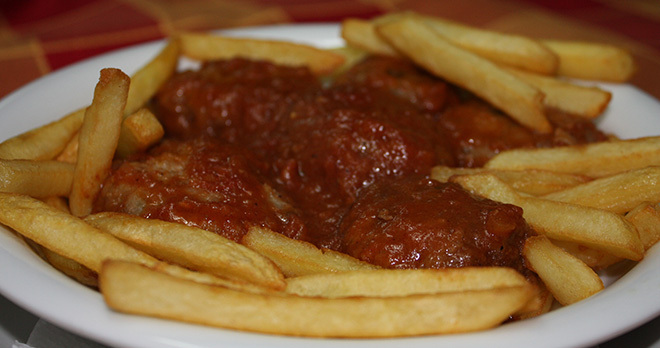 So we suggest you not to miss the local Pastitsada and the traditional Corfiot Sofrito. 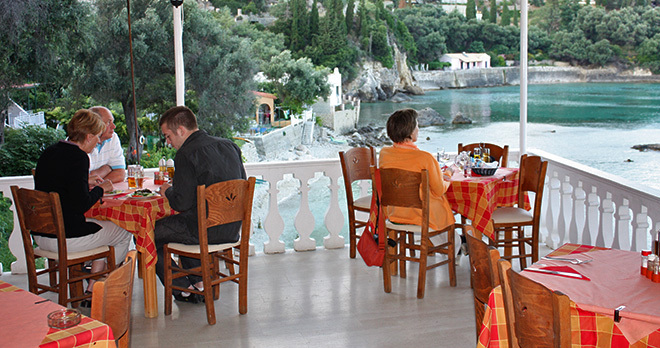 In Delfini restaurant also the list of the appetizers is very rich, with a particular mention for their Tyropitakia and the mushroom a la creme that here are really delicious. 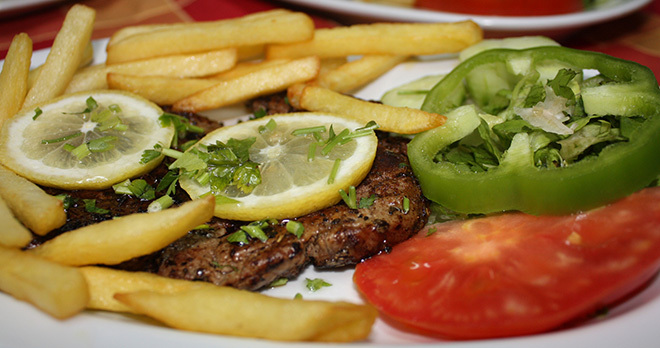 Delfini tavern is both open for lunch and evening. 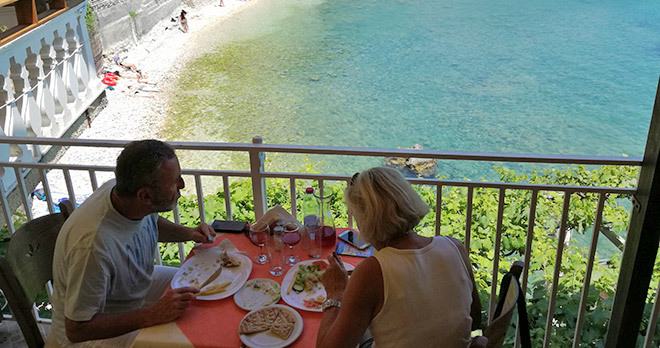 You can choose for a romantic dinner or, if you come here in the morning, you can relax on the beach having a swim and then walk just few metres for a delicious meal in our place! 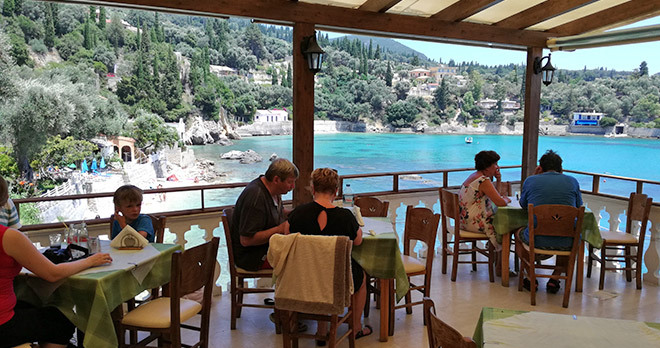 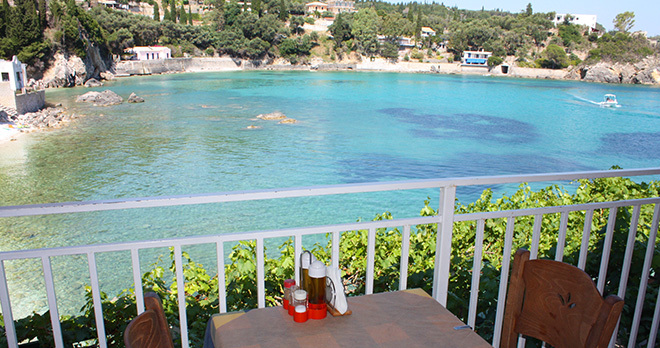 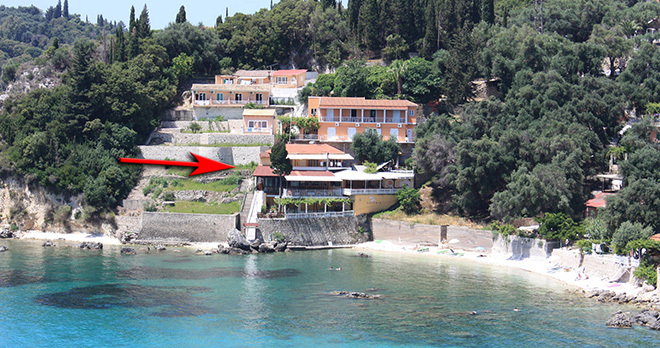 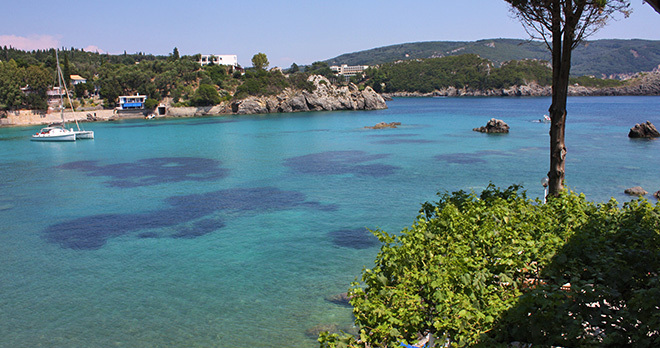 Delfini Tavern is placed in the marvellous beach area of Paleokastritsa along the West coast of Corfu island. 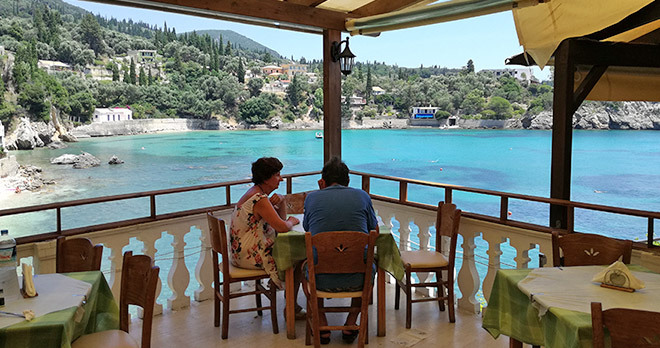 Following the road that will drive you down to the main beach and the monastery of Paleokastritsa, you’ll find the entrance of taverna Delfini on your left hand, just opposite Οdysseus Hotel. 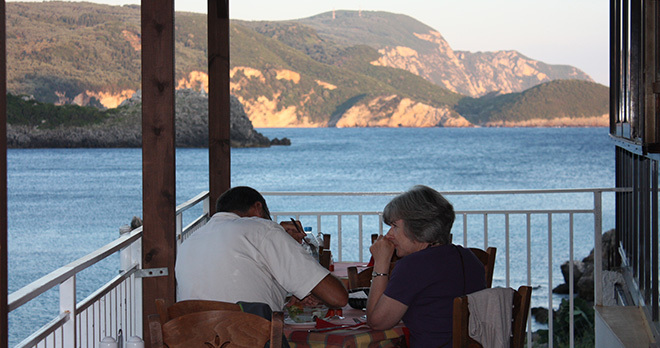 Along the main road you will see just the the sign, as the restaurant delfini is developed down the hill, just few meters above the sea.